This is Where to Buy A Wholesale Table Skirt Online! 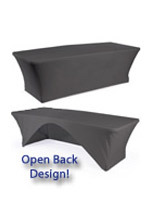 These Table Covers are In Stock in our Huge Warehouse! 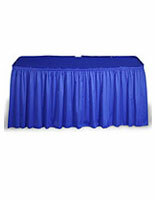 This stretch linen table skirt is optimal when used at banquet halls, trade shows, job fairs and other special events. 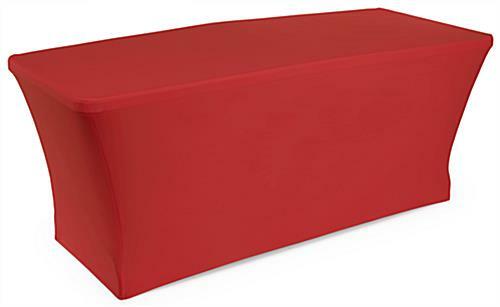 The vibrant, red color of this linen cover is certain to draw the curiosity of event attendees. 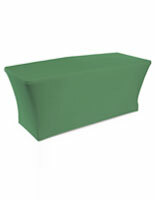 Our company sells this affordable table skirt online in 4 other colors so you have the option of choosing the best color for your exhibit décor. 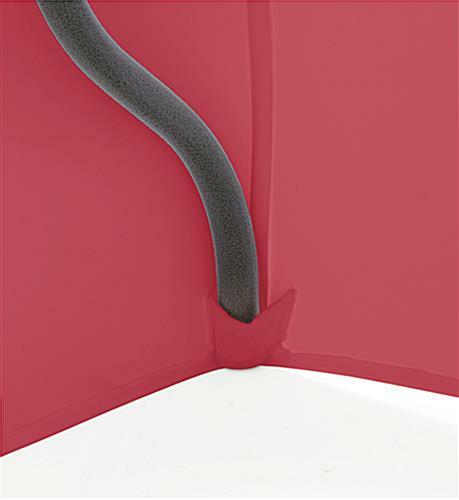 These stretch-fit covers are sold without images, making them the best choice for use at a number of unique occasions or demonstrations. 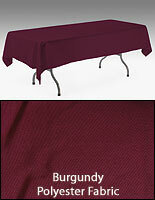 This polyester tablecloth, table skirt is available for 8-foot tables (see related products). Purchase an all-occasion table skirt with a stretch-fit design for your next event and present the cutting edge image you desire. 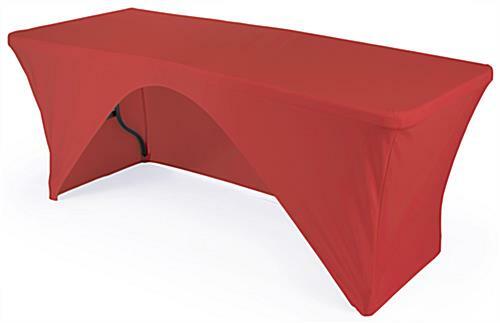 This table skirt permits you to dress up your folding tables in just a few moments! With this tablecloth, you don't need pins or snaps. 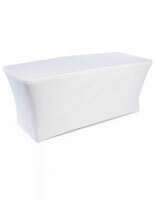 The table cover has stitched-in pockets that slip under the feet of the table. 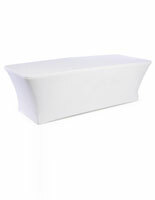 This stretch table fabric is the perfect finishing touch to your tabletop exhibits. 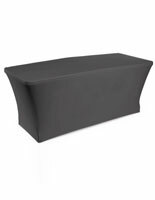 Produced from 70% polyester and 30% spandex, the stretchable cover is engineered to fit snug on any 6-foot rectangular table. A table skirt, like a stretch tablecloth or event linen, is wrinkle-resistant which ensures tabletop exhibit is smooth and looking great. 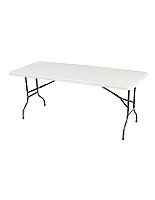 The table skirt covers three sides of the table, leaving the back open for workers to store boxes as well as for them to sit in the back of the tables without longer draping getting in the way.